AI Justice released two reports exposing abuse and injustice in the detention system. The latest report, Broward Transitional Center: A “Model” For Civil Detention, examines systemic abuses of immigrant detainees at this detention center. Though the center has been heralded by the U.S. government as a “model,” AI Justice attorneys have documented dehumanizing treatment, substandard medical care, and sexual assault, as well as the lack of due process, legal counsel and meaningful oversight. 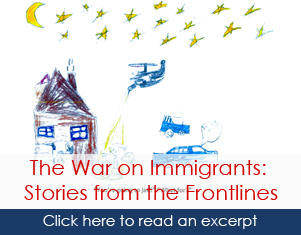 The report tells the stories of dozens of immigrants who suffered such abuses. In partnership with Florida International University’s Research Institute for Social and Economic Policy, AI Justice also released a report entitled False Promises: The Failure of Secure Communities in Miami-Dade County. This data-driven analysis found that Secure Communities (S-Comm), Immigration and Customs Enforcement‘s (ICE) largest immigration enforcement program, makes us less safe. While the program claims that it prioritizes deporting people who are dangerous threats, the data in Miami-Dade County show that S-Comm overwhelmingly has detained and deported unauthorized immigrants with no criminal history or only minor traffic offenses. At the news conference for the release of the report, Miami-Dade County Public Defender Carlos Martinez noted that victims and witnesses are unwilling to report crimes or assist in investigations for fear of deportation because Secure Communities requires local police to turn immigrants they have arrested over to ICE. The result is a lack of trust between the community and law enforcement officials. Law enforcement officials are afraid that the program is eroding trust that they have worked hard to build with immigrant communities.